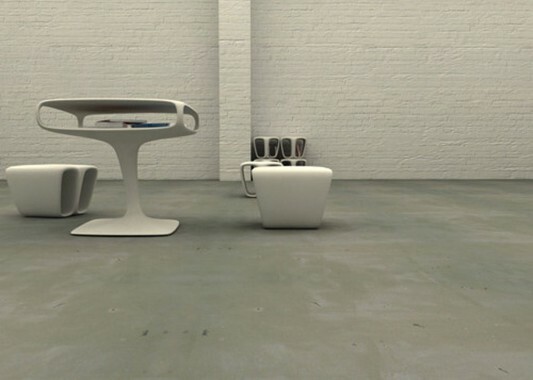 This furniture has a structure outside and within the hard and strong and lightweight, allowing you to easily to move. To create a bookshelf, you can take advantage of some bones and stacked chairs so it looks as beautiful arrangement of bookshelves and functional. In addition in the shape of a small piece of stool, made also in the form of tables, which at the bottom is equipped with a cavity to store your books or other equipment. By making a merger between the biological complexity and expressive design of three-dimensional, making a design furniture like tables chairs and shelves that can be used to complement your decor, but it also can be used for public spaces furniture. 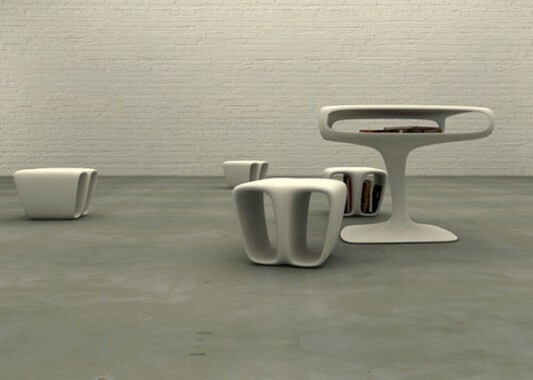 A collection that shows the practicability of the various functions offered. 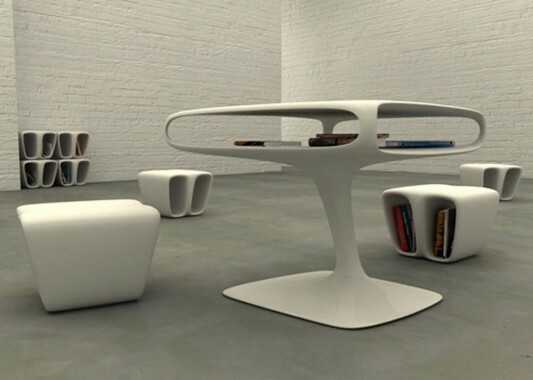 Furniture bones can be used as a side table, stool, plant stand, for the rack of magazines and books, or extra seating. Visit Marco De Gregorio for more information.